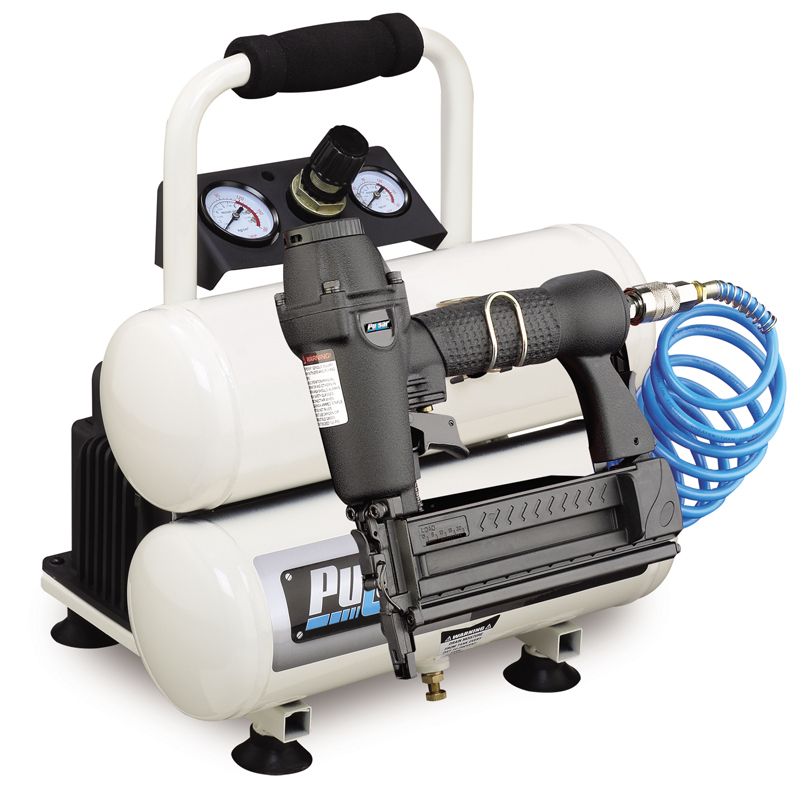 This 1/3 HP, 2 gallon twin-tank portable air compressor provides the greatest amount of performance from the smallest physical footprint, making it easy to use and easy to store. 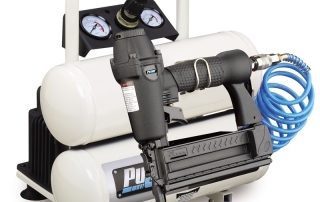 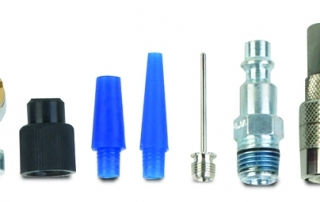 Dual gauges measure both tank and line pressure while the all steel, electro-statically painted tank is designed for years of use which incorporates a sealed lubrication system that means you never have to worry about adding oil. 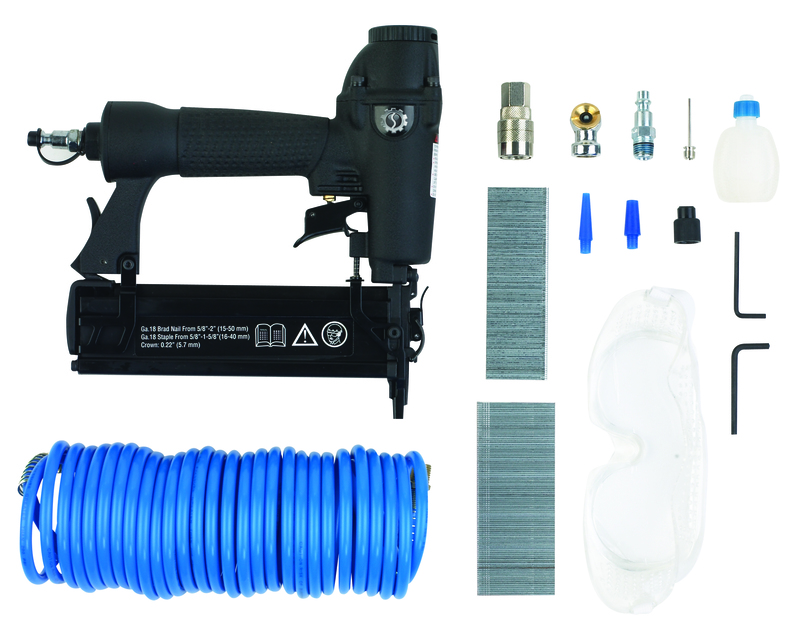 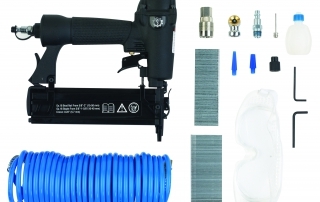 Ideal for tasks around the house with the included six piece accessory kit and the 18 gauge nailer/stapler with 10’ coil hose, 50 brads and 50 staples, the PCE6020TKN provides 100 PSI maximum pressure and 1.5 [email protected] PSI and .7 [email protected] 90 PSI.